For thrill-seekers with limited time to explore Marrakesh, this high-octane Marrakech Quad bike excursion adventure in the desert is an absolute must! There are two departure times from Marrakesh for this Marrakech Quad bike excursion, 9 am and 2 pm. 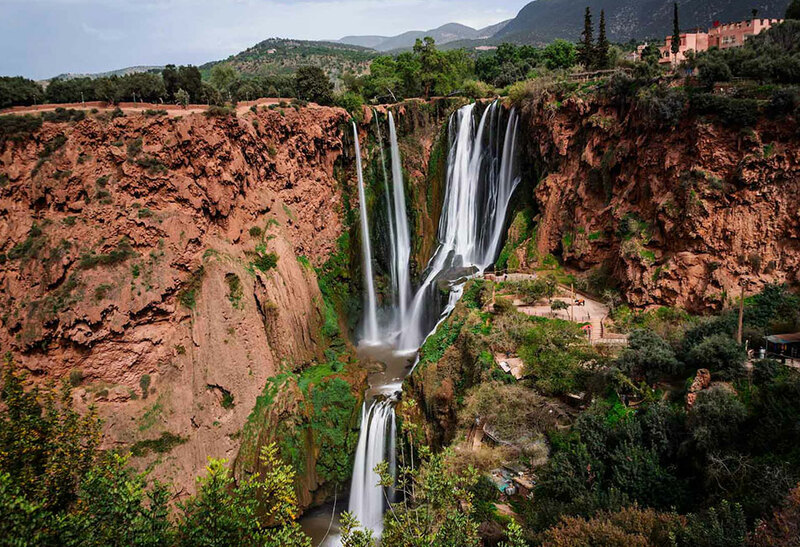 Our driver will pick you up from your accommodation in Marrakesh and take you to the beautiful Palm Groves district, then return you to your hotel or other accommodation once the excursion is over. 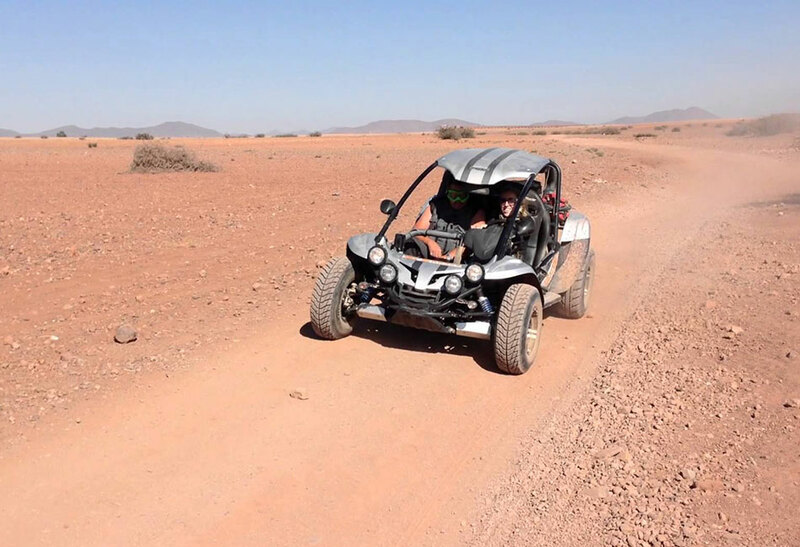 Very few people get to see the parts of Marrakesh you’ll experience as you enjoy a quad-biking excursion on the outskirts of this amazing city, so this will be an experience of a lifetime. For those adventurers who book the 9 am tour, you’ll be picked up from your accommodation just before 9 o’clock then returned at approximately 12:30 pm. For those who book the 2 pm tour, you’ll be picked up from your accommodation just before 2 pm then returned at approximately 5:30 pm. 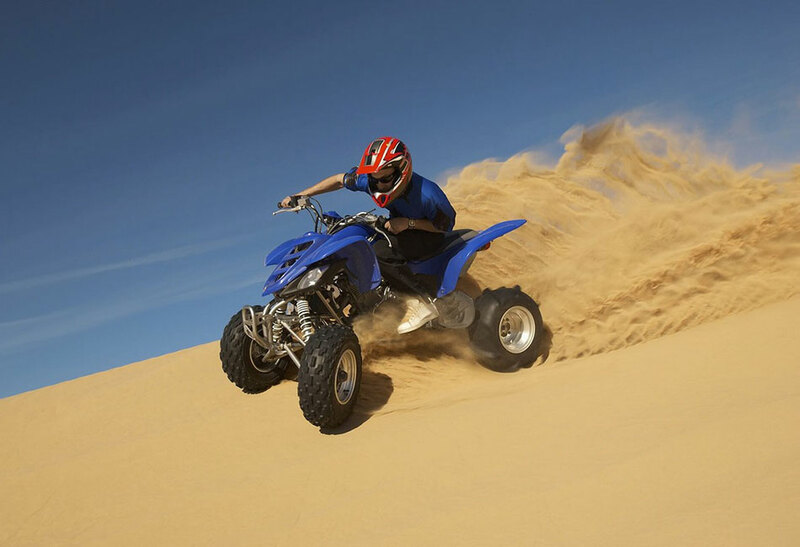 Besides your quad-biking guide, you’ll be supplied with a reliable quad bike, gloves and a helmet. Please come prepared for this excursion by wearing appropriate footwear, like a pair of closed-in sneakers: no flip-flops or open toed sandals please. You may need to bring some warm clothes if quad biking during the colder months. 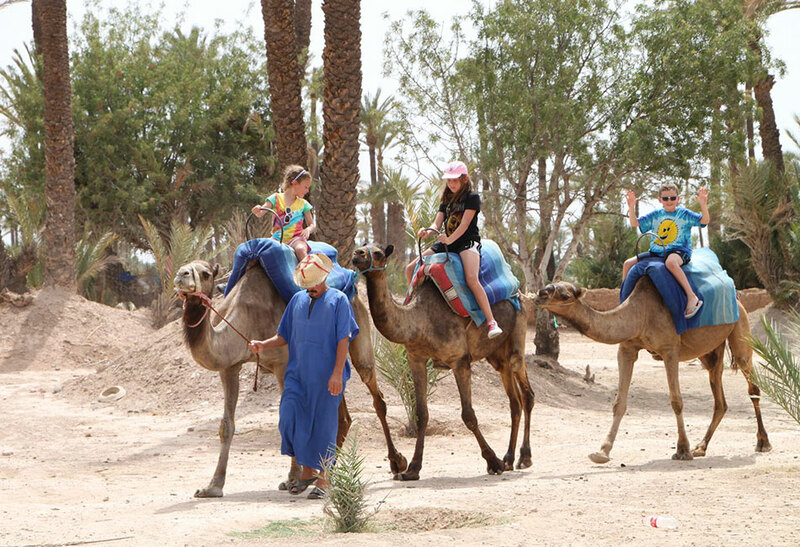 You’ll enjoy a half day Quad bike excursion just outside Marrakesh city, around the beautiful palm grove area. You’ll cross sand dunes, hills, and marvel at the amazing palm trees as they appear to spring out of nothing in this arid desert region. You’ll get to experience a true oasis, so have your camera’s ready to go! 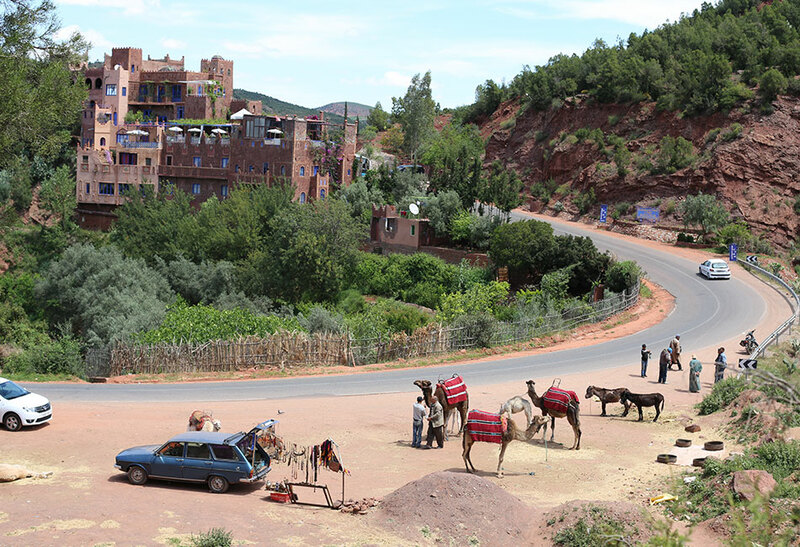 Halfway through your quad biking excursion we’ll take a break at a Berber village where you’ll enjoy the generous hospitality of a local Berber villager who’ll serve delicious and welcome refreshments. It’s here you’ll realize just how time has done very little to alter the lifestyle of these gentle people. In fact, the villages and surrounding landscape still reflect an era of long, long ago. Before your excursion is over our guide will offer to take photographs of you on your quad bike. 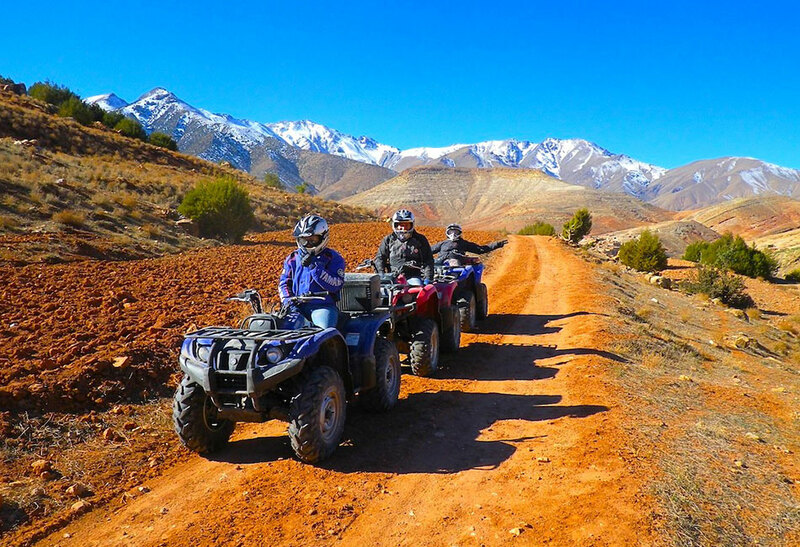 The Marrakesh quad bike excursion is guaranteed to depart daily, with a minimum of two people required per booking. 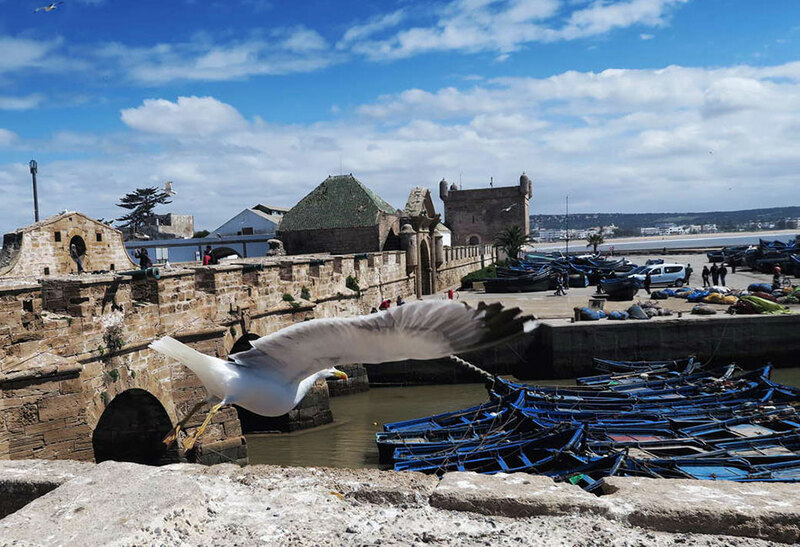 You’ll get to experience a genuine Berber village and see how local people, their lifestyle, and their surroundings remain unchanged to this very day. Fresh mint tea and mineral water will be served with Moroccan pancakes by local Berber villagers during your quad bike excursion.